1. 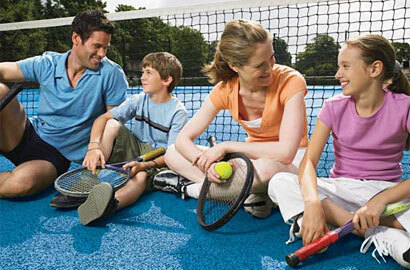 Regardless of his/her success in junior tennis, the chances of your child making a living on the tour are close to zero, so make sure he/she is prepared for life after tennis. 2. If you were not able to change your youngster’s attitude up to this point despite living with him/her, do not expect any coach to be able to do it quickly. 3. Your son/daughter cannot play with better players every day. Whose son/daughter do you want the coach to sacrifice to accomplish this? 4. If you find yourself constantly changing coaches, the problems you are trying to solve are probably not related to coaching. 5. Thinking that your son/daughter is better than another player is not the same as him/her actually beating the player in a tournament. 6. You wanting your son/daughter to be a successful competitive player does not necessarily mean he/she wants to or can do the required work. 7. Regardless of how much money and effort you and your child put into his/her development there are absolutely no guarantees. 8. The best way to ruin your relationship with your son/daughter is to get so involved in their tennis that you forget that it is only a game. 9. Competitive tennis is not for everyone. Just because you think it is awesome, it does not mean you child has the same passion for the sport. 10. Watching Dr. House and reading about health does not qualify anyone to give medical advice. Be careful what you tell your children about tennis. Even the right advice at the wrong time can backfire. Let the coach do the coaching.